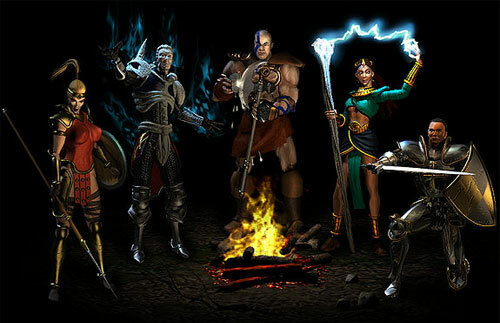 Runes are important Diablo 2 items that turn ordinary socketed weapons and armor into special and powerful ones called runewords. Highly sought after for the power they bring, players have been using them as currency for trading, as gold has a cap and therefore cannot be used for really rare items. So if you would like to get your hands on one, follow this very short guide. To turn a piece of equipment into a runeword, the equipment in question must be of the correct type; have the correct number of sockets; and be colored gray (normal rarity), as any other color wouldn’t do. 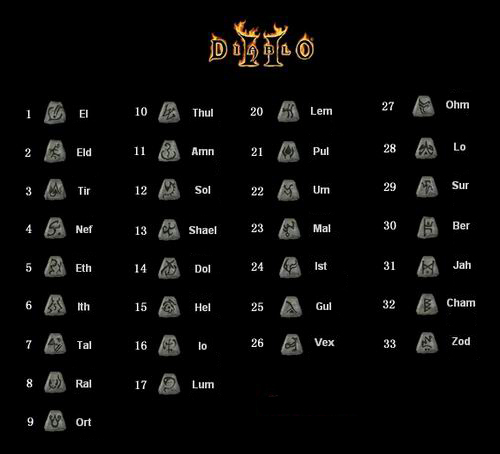 You don’t have to worry about putting in the runes in the right order, as they will automatically arrange themselves in the proper sequence. Going by the previous guideline, it should be obvious that making runewords is a specific science, so you can’t just put runes into a D2 item that has slots. While that particular equipment would have the attribute bonuses the rune gives, it’s not going to be considered as a runeword. Therefore, it’d be best if you’d check out the list first. But if you choose not to, then have fun with that rune-slotted non-runeword Diablo 2 items of yours. Because of the different effects and attribute bonuses of Runewords, some of them are considered more useful, and therefore higher in rank, over others. Here are some of the most highly prized Runewords, which are also some of the most prized Diablo 2 items in the game. Breath of the Dying – this axe is arguably considered by many as the highest-ranking runeword. And rightfully so, as the weapon gives out a lot of impressive bonuses that border on the obscene. 60% increased attack speed? 350-400% additional damage? 50 to attack rating, and many other bonuses? If that’s not broken, then nothing is. 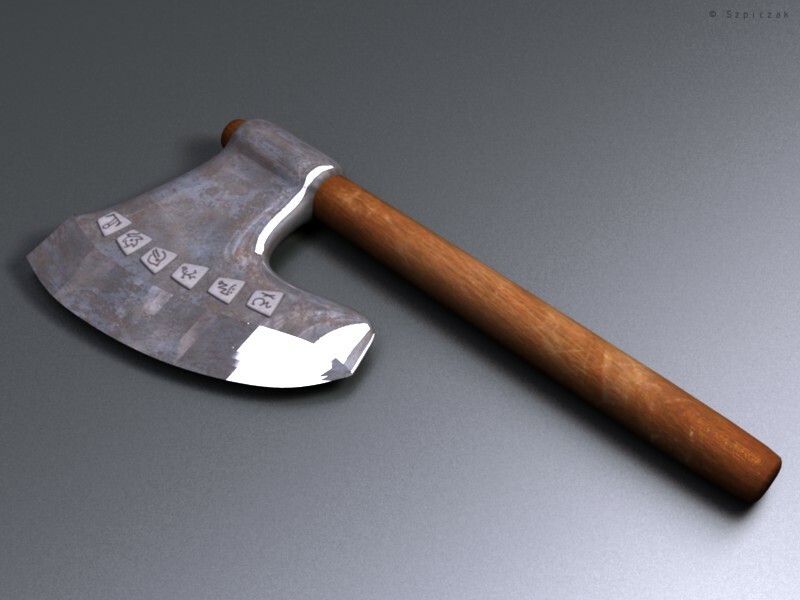 Pride – another axe, although a two-hand one, it also gives off overpowered offensive bonuses, although not on the same level as that of Breath of the Dying. But hey, I’m pretty sure a 300% attack rating bonus, +250 Lightning damage, and 20% deadly strike – and that’s not all – are nothing to scoff at. There are no D2items like Runewords. So if you haven’t gotten yourself one, two, or five, then it’s about time you do.